Plastic extrusion manufacturers play a critical role in developing all kinds of products that people rely on daily. However, as demand for improved precision, faster production, and lower costs increases, plastic extrusion manufacturers could face some challenges in 2018. The following are a few examples of the issues that plastic extrusions companies may need to deal with this year. 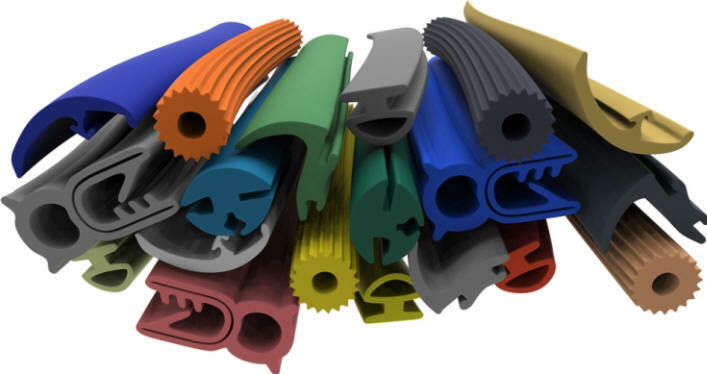 Along with manufacturing tubing, containers, and packaging for the medical industry, car parts and components for the automotive industry, and a host of other products, plastic extrusion suppliers commonly make parts used in construction, including siding, piping, and so on. The challenge is that with new home builds and renovations up and expected to climb in 2018, manufacturers of plastic extruded products could struggle to keep up with demand. Another potential challenge is that while extrusion companies use sophisticated machines, with an increasing number of industries relying on products made using this process, technology might need to advance. Just in the construction industry alone, there is an uptick in the number of requests for precision siding and windows. With the stabilized economy, there is also a lot of activity around building and infrastructure improvements, specifically water pipes. Just as with the construction industry, plastic extrusion companies will get tasked with making more products in response to an increased number of customers. While this is not necessarily bad news for manufacturers who provide solutions for businesses that need plastic extruded parts and components, it will require them to stay on task. Polyethylene is the most produced plastic in the entire world. Not only is it strong, but it’s also versatile, safe, nearly indestructible, and environmentally-friendly. Although it’s lightweight, this material can handle extreme temperatures, and it is hard-wearing. However, as manufacturers see an increase in the number of products made from polyethylene in 2018, they cannot afford to use an incorrect ratio or density. To ensure that customers get superior products, suppliers must use this material as intended based on the application. Otherwise, all kinds of problems could develop. As an example, manufacturing companies should use LDPE when making plastic tubing in a refrigerator, chemically reinforced polyethylene for many industrial applications, and HDPE for storage bottles. Unless the appropriate material is used in the correct ratio and density, manufacturers could face significant challenges. With demand for this material on the rise, manufacturers will need to pay close attention to the purpose of their products so they make the correct decisions.